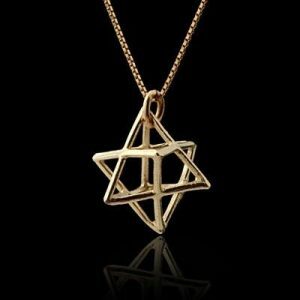 This elegant Star of David pendant is made of five metals following a special Kabbalist formula. The Star of David is made of Sterling Silver. 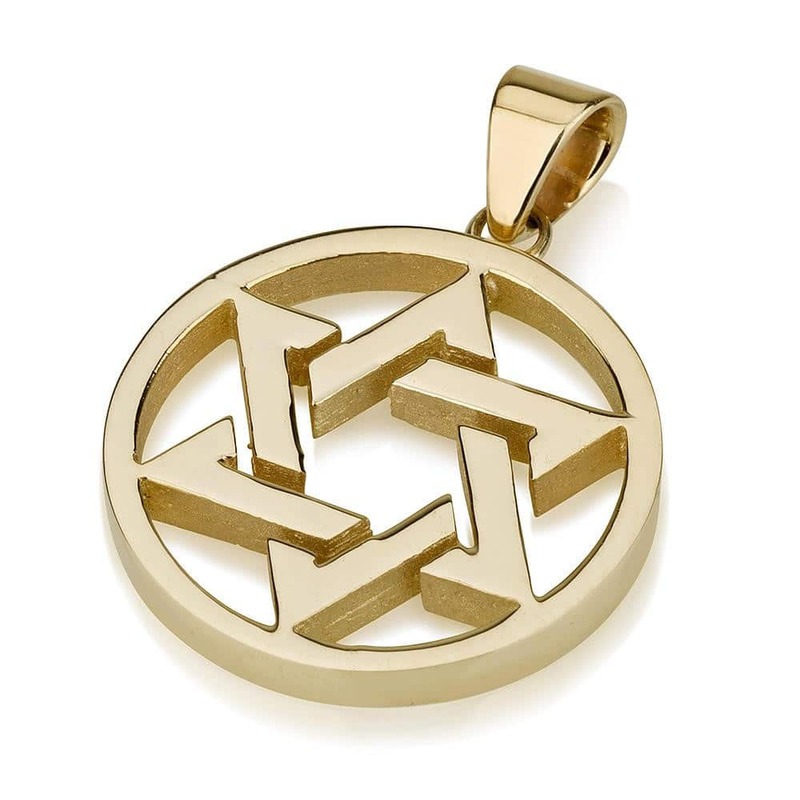 This elegant Star of David pendant is made of five metals following a special Kabbalist formula. 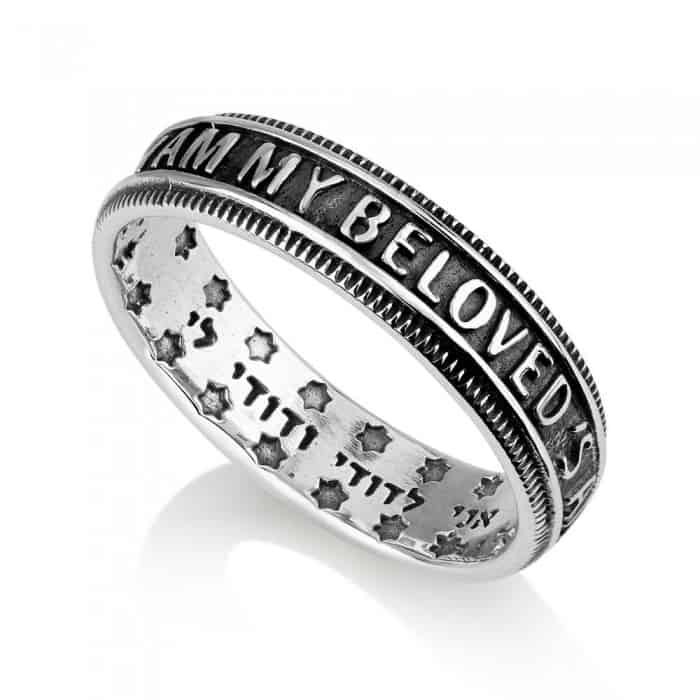 The Star of David is made of Sterling Silver. 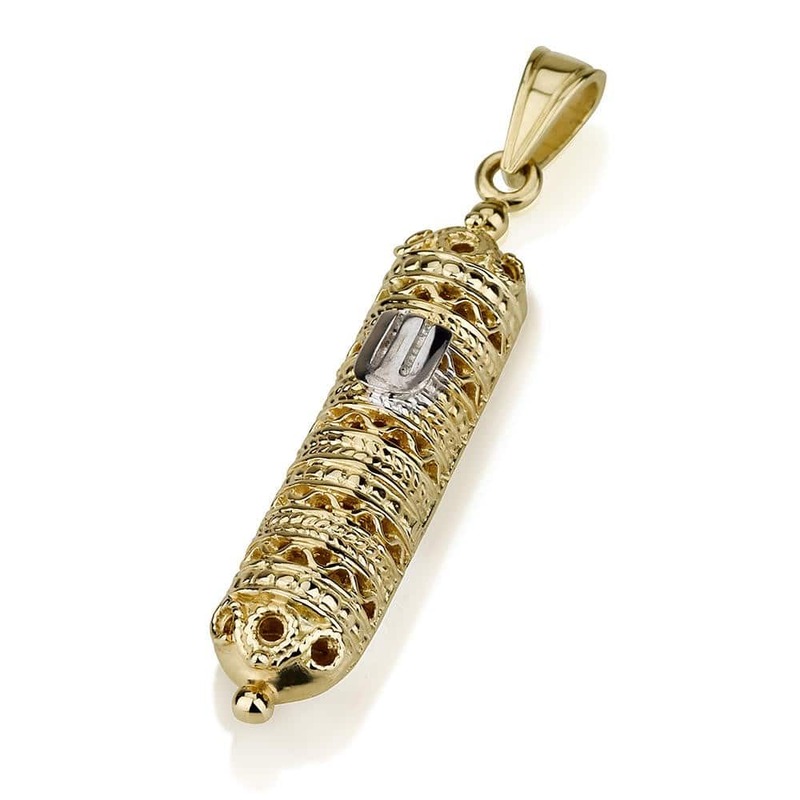 The reversed side is a gold plate, underneath there are copper, tin and lead which give the pendant its unique appearance and spiritual qualities.In Kabbalah, the five metals jewelry is considered to be a powerful tool for bringing a about positive changes in our lives. 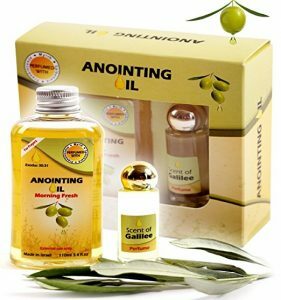 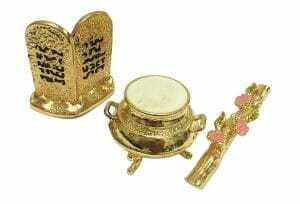 The blending of the five metals: Gold, Silver, Copper, Tin and Lead draws on powerful energies.The combination Samech-Aleph-Lamed is believed to be a virtue for abundance, career, and success. 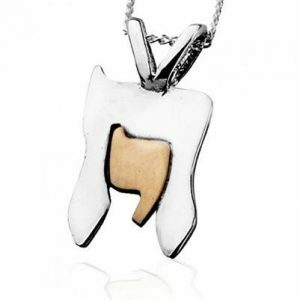 The five-metals jewelry is considered a virtue for blessing and protection. 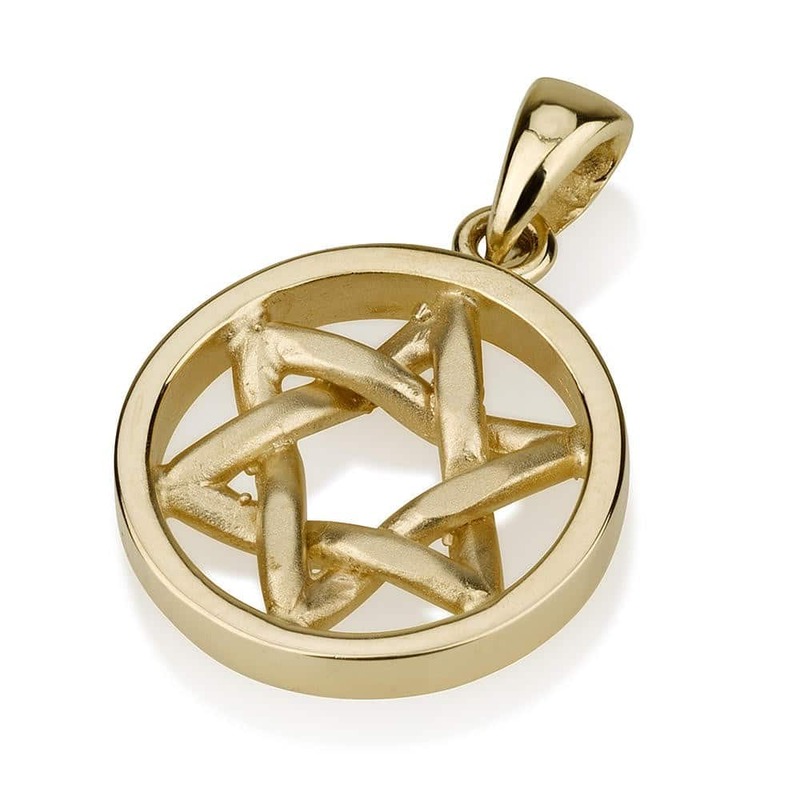 This elegant Star of David pendant is made of five metals following a special Kabbalist formula. 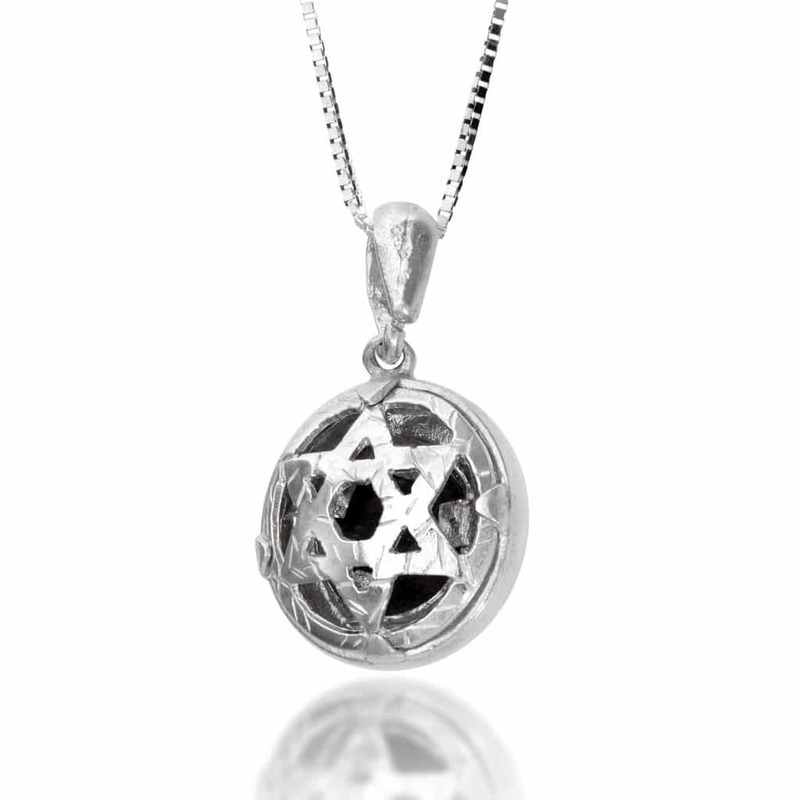 The Star of David is made of Sterling Silver. 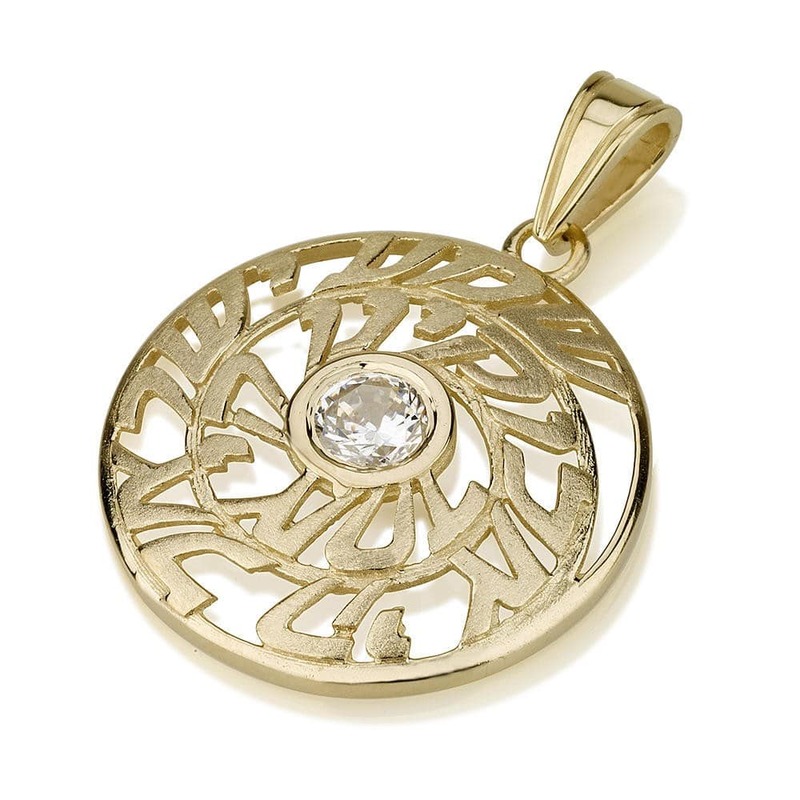 The reversed side is a gold plate, underneath there are copper, tin and lead which give the pendant its unique appearance and spiritual qualities.In Kabbalah, the five metals jewelry is considered to be a powerful tool for bringing a about positive changes in our lives. 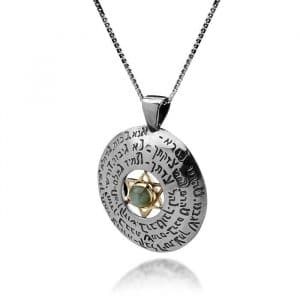 The blending of the five metals: Gold, Silver, Copper, Tin and Lead draws on powerful energies.The combination Samech-Aleph-Lamed is believed to be a virtue for abundance, career, and success.